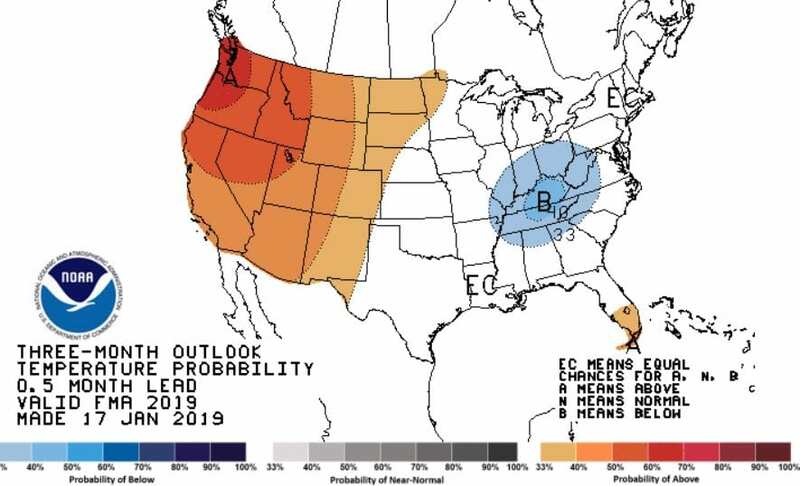 Here are the climate map predictions from NOAA/NWS for the period through April. 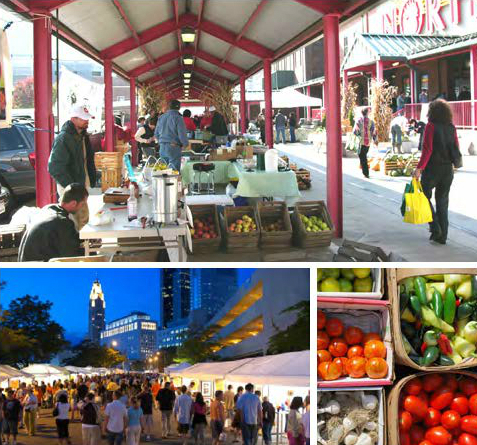 What does this mean for the backyard grower, community gardener or urban farmer? This means a fair chance for some early spring growing and an early harvest, especially when using season extension. I would not put all my eggs in one basket due to the lower temperature percentage, but the choice of cold tolerant crops may pay off. If the model would have predicted warmer weather for this period I would have considered a full scale up in spring vegetable planting. Right now I will sow regular amounts for the season. Those growers who planted spinach under low tunnels using row cover, be mindful of any good chance to break the micro-climate and get a harvest. The 66 degree Sunday we had recently was just such a day. Very soon the increased amount of sunlight will cause a surge in rapid growth. If you have not already started, now is a good time to start seeds of several vegetable varieties under the lights of your seed start station. If you are using seed that is from a prior year, Check Out the Seed Viability Post on Growing Franklin. This planting time will have the lettuce ready to go into the ground in early March. 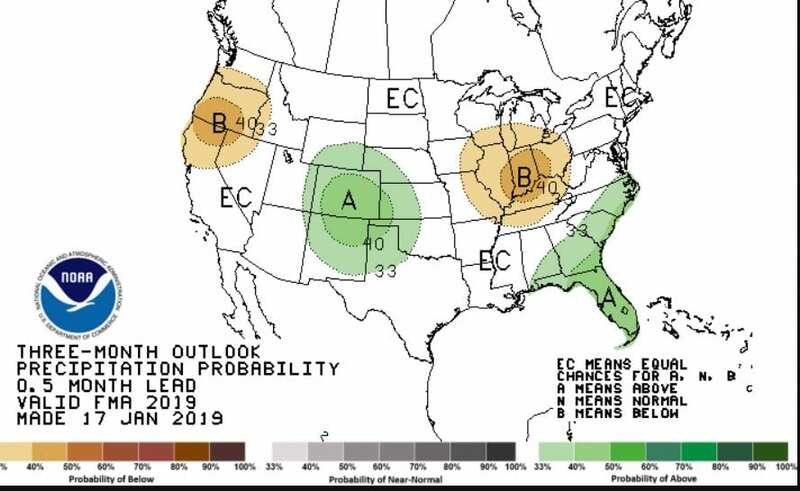 There is a chance of poor weather that may prevent planting. Still the risk is worth it. Follow up with serial plantings of lettuce and Asian greens every two weeks for the next two to three months for a continuous harvest. Posted by Timothy McDermott at 9:19am Posted in Events, Season Extension, Seed Starting, Vegetable Production. Bookmark the permalink. Hi Tim. I started onions in January indoors. When do you think it would be safe to transplant outside? I would keep them going a little longer if possible before setting them outside. They are cold tolerant but we are not ready for planting yet. Send me a pic and I can evaluate them better. They were getting so tall I had to trim them. I don’t see a way to attach a photo here. Should be fine. I give my leeks a haircut on occasion until they go in the ground. We will have to wait and see a little bit on how the spring weather develops. I have planted in late March or early April before.